Brat-halla: Webcomic of the Young Norse Gods » #313 – Twilight of The Hod: Science Boy! 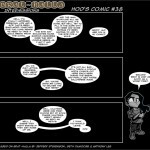 Home » Comics » #313 – Twilight of The Hod: Science Boy! #313 – Twilight of The Hod: Science Boy! Don’t make Sif mad… you wouldn’t like her when she’s mad. I did like the pregnancy theory some readers were speculating about. That would have been a really cool explanation, but there was one slight problem with it… according to interpretations of the myths, Magni was the son of Thor and his Jotun mistress Járnsaxa. Also, the vertical ad banner is partially blocking the comic strip on the homepage, but when you”re in comments mode, its fine. Also, we haven’t yet found out how Odineye got the scar, whats with the balder clones, and a few other questions. @smjjames – The homepage should be fixed now. Thanks for bringing that to my attention. still not fixed seemingly. I’m using FireFox. @smjjames – It looks okay to me in Firefox (versions 2 and 3) and Internet Explorer. Maybe the home page is cached for you somehow? You could try forcing a page refresh… hold down the [shift] key (or the Command key in Mac) and click the Reload button in Firefox. Let me know if it’s still a problem. 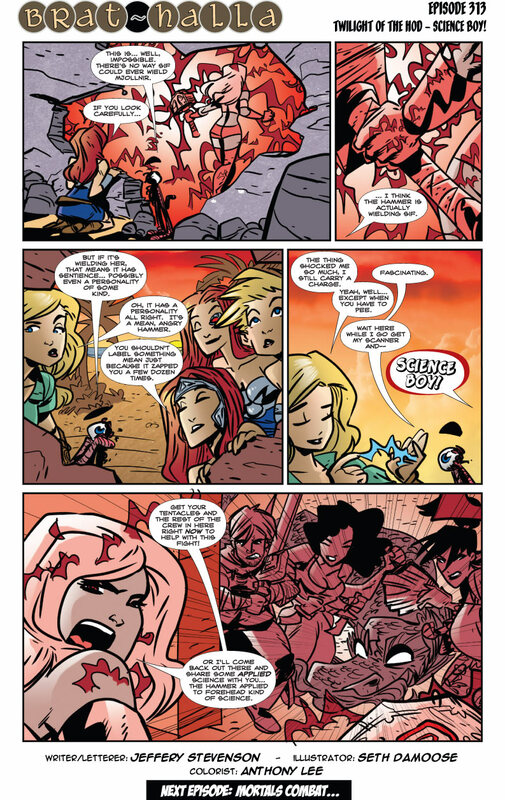 But we want to see SIf Mad… its going to be fun! Go get ‘im Sif! Go get ‘im Mjolnir, and who is Odineye to be talking about an easily distracted Thor now? Rofl, applied science of hammer to forehead….perhaps that explains Odineye’s scar? There is also the theory that Mjolnir is allowing Sif to weild it. Anyways, the next comic should be up later tonight.